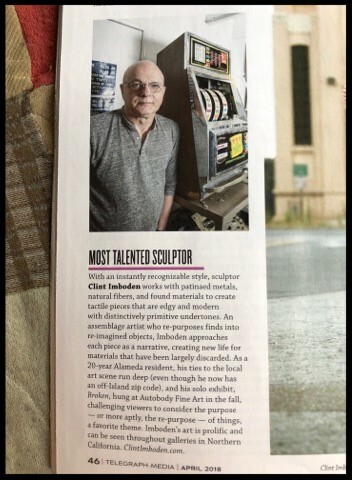 I have been selected by Alameda Magazine for the category of “most talented sculptor” for their 2017 ‘Best of’ lineup. You can find my feature on page 46. From 1998 to 2009 Alameda was my home-base, and until late last year, I continued to own property there. While living there, I became a very active member of the Alameda art scene, exhibiting work at Autobody Fine Art, Frank Bette Center for the Arts, Gary Francis Fine Art, the Alameda Museum, and K Gallery at Rhythmix Cultural Works. 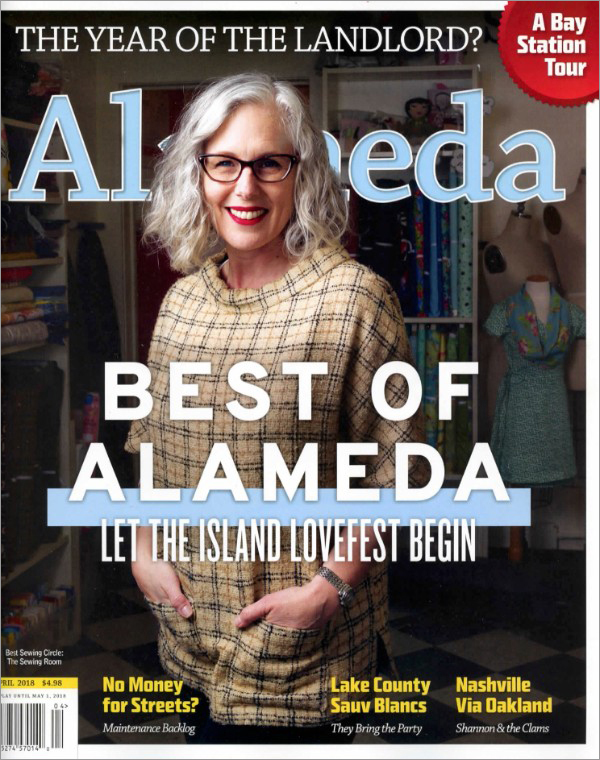 Although I’m now based out of Oakland, Alameda continues to play an important role in my creative life, offering a host of flea markets and estate sales where I source material from, and a number of galleries where I continue to show my sculptures and installations.